Is it any wonder that some of us find ourselves uninterested in science that espouses lifeless mechanics and randomness theory? What if science were an exploration of mind? Your mind. How does it work? Where does the world I am living in come from? Biocentrism (Benbella Books, 2009) first put forward the scientific theory that “life creates the universe instead of the other way around.” The ramifications are huge in that they establish a relationship between awareness and the objects we perceive–hitherto believed to be separate and independent from us. The book laid out the life-centric theory step by step in six principles, supported with cutting edge quantum theory experiments that simultaneously disprove our current model of the universe and demonstrate that awareness (you, me, the observer) determines the results. 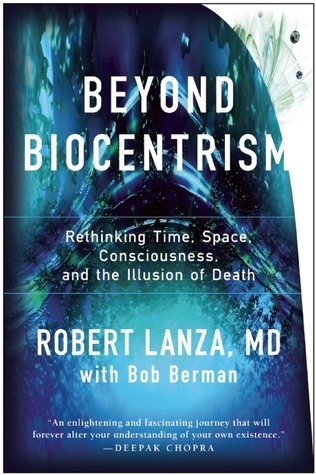 Beyond Biocentrism (Benbella Books, 2016), the authors’ follow-up book, readable as a stand-alone, moves past the boundaries set by established science. It explores the cutting edge (is there an edge?) of the world of awareness and sums up its theory and principles slightly differently: “Reality holds no separation from consciousness.” There is no time, no space, no death, and all is a single living entity. The authors further state that anyone can reach these conclusions, and experience realization of them, with personal inquiry. One of the authors did and shares his experience in this book. Failed scientific models accepted as the status quo are not neutral in our lives. They cause us pain. They give us an antagonistic outlook toward the universe, a place that could turn on us at any moment. The authors ask, “Can we really relax and see our own daily activities as unfolding all by themselves, and that the truer picture is not that of just ‘little old me’ in a vast, scary universe? Can we let that go along with our fears of mortality?” (p169). The observable universe (900,000 galaxies to be exact, examined by a group at UC Berkeley) shows no evidence of curve or warp despite its significant gravitational mass. Planets and other astronomical bodies pull themselves into spheres when they reach a sufficient mass. The fact of this observed “flat large-scale topography” points to no boundary (p184)—an infinite universe. Some shrug this off, content to explore only the part of the cosmos that we can see. But “any fraction of infinity is zero” (p185). Here at the Hazy Moon Zen Center, our teacher loves that quote and often references it in his talks. For a long time, I assumed it was my limited math skills that kept me from understanding or relating to it. In writing this book review, I realized that maybe not understanding it is the point. Beyond Biocentrism says these findings matter because they point to the profound mystery of everything and the inability of thought to comprehend it. Is there any proof that time exists? Our teacher often challenges us to find a time other than “now.” Science doesn’t need time in its equations. Only the element of change. The law of entropy (that all moves from order to disorder) seems to point to a direction of time and give it credence. However, probability accounts for that. There are so many more states of disorder than order, that maximum disorder is more probable to appear. 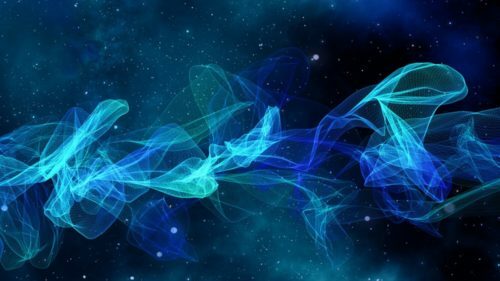 Experiments on the quantum level show that particles remain in a probable wave state, until our awareness observes and forces them to appear as particles. Entangled particles respond to awareness, regardless of time or distance. Science shows we can observe either location (the here now) or trajectory (movement), but not both. Our perception animates a series of distinct “nows” to create the illusion of time. My hands are typing on this computer. The couch is here and the door is there. What and where are they? What is in between? The electro-magnetic waves that make up light are invisible and have no color. Yet we can see. Where does sight come from? What are we perceiving? If we look closely with scientific instruments we can see down to atomic structures. Farther still, we see that most of the “space” within these atoms is empty. You could shrink all the known actual matter in the universe down to the size of a marble. After all, distance is relative based on speed of travel and other conditions. So what is everything? This vast emptiness is not void. It sizzles with life and energy. Vacuum energy, magnetic waves, gravity waves, tiny particles that jump in and out of existence instantaneously based on probability that have more power than our animal sense mechanisms can comprehend. They pervade “space.” This sense of wonder comes with the Biocentric worldview. Will a “now” come in which I am not here? There is no time. Only change. Space is infinite and impossible to comprehend. You cannot take away or add to infinity. And nothingness cannot exist—it’s a contradiction. The authors state that, “We cannot comprehend anything outside this spacio-temporal system of thought…. And because there’s no absolute self-existing space-time matrix for your energy to dissipate [from], it’s simply impossible to ‘go’ anywhere. You will always be alive” (p177). What exists beyond our perception? The second half of the book explores fascinating examples that detail how we—and animals—perceive without the help of our physical sense mechanisms or logical understanding. The blind can avoid obstacles in their path, draw and replicate pictures they cannot see. We respond faster than our senses can process, such as when we duck (or reflexively catch) an incoming football. We think we are in the driver’s seat for our bodies, that we have control, but where do our decisions come from? We don’t know how to command all the muscle and nerve movements required to snap our fingers. “An experience began that no words could convey. It was ineffable and life altering. The best I can say is that ‘I’ was suddenly gone, replaced by the certainty of being the entire cosmos. There was absolute peace. I knew with total confidence, not logically—because as I said, Bob was no longer present—that birth and death do not exist. That all is perfect eternally, that time is unreal, and that all is one. The joy was beyond anything I could have imagined. The to-the-marrow certainty could perhaps be better described as a recognition, an ancient familiarity of being Home” (p111). How can I experience Biocentrism? Maharshi, by way of the authors, speaks to the mental torment of searching outside of yourself, the effort involved in seeking sincerely for the truth, and the eureka moment that comes in seeing “there is no separate self, only a stream of thoughts.” The real Self is the universe. The authors don’t stop there. They give exciting examples of the future of science and the working theories of applying quantum effects on a macro scale. (Because larger objects are more difficult to observe in their totality than a single particle, the probability of radical quantum phenomena becomes less likely). They joyfully explore the realm that they say is not outside of ourselves. In reading Beyond Biocentrism, and writing this review, I feel greater confidence that my practice is not so isolated and fringe. I feel more confidence and trust and inspiration to abandon understanding. I see science as backing up what I intuit, what led me to practice, which I might be bold enough to venture is named consciousness. And, that the reality I intuit, is a universe that supports me.